 The Oregon Center for Nursing (OCN) is excited to announce that Rick Allgeyer, PhD recently joined OCN as its Research Director. Rick Allgeyer served as the Director for Strategic Decision Support at the Texas Health and Human Services Commission for 15 years prior to retiring in March 2016. In this role, he was responsible for analytic and quantitative research on health care utilization, demographic trends, and enrollment patterns for the state’s health care and human service programs. Prior to joining HHSC, Rick served as the Manager for Statistical Reporting at the Texas Department of Health. Rick received his Doctor of Philosophy degree from the University of Texas at Arlington in 1995. In his new position Rick will coordinate OCN’s research agenda, ensuring that information on nursing education, supply and projections for future demand are available on a regular basis. He will also be coordinating with partner organizations to determine what additional research needs exist in the community. Rick Allgeyer can be reached at allgeyer@up.edu.